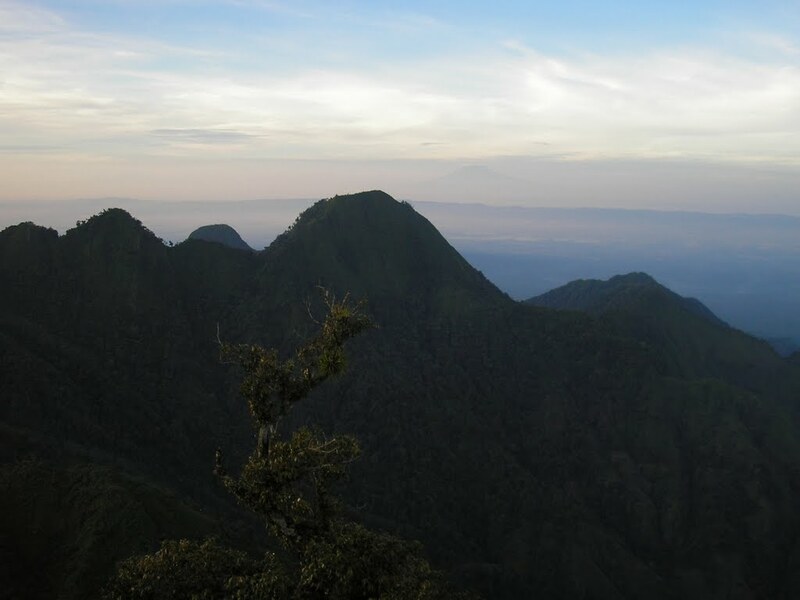 Gunung Muria is a dormant volcano – apparently having last erupted just over 2000 years ago – which dominates the Muria peninsula on the north coast of Java, east of the city of Semarang. 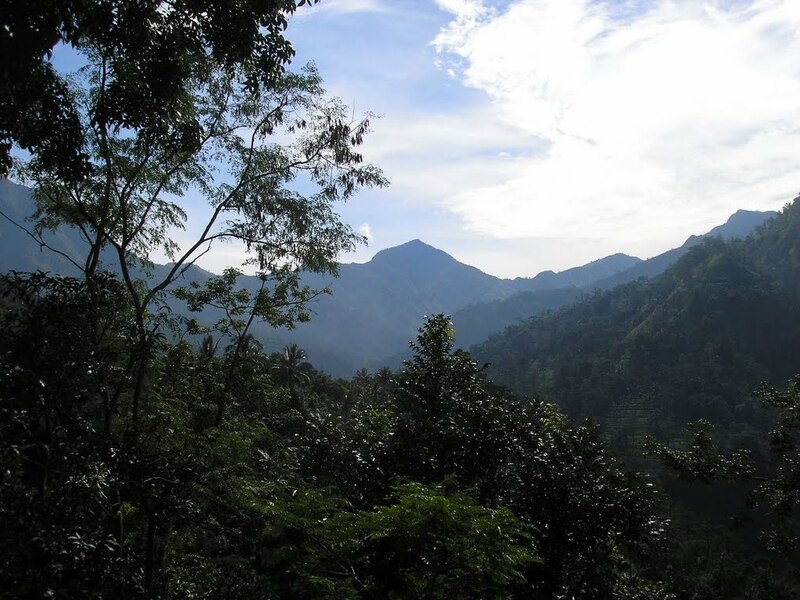 The Muria mountain is actually a range of different peaks, of which Songolikur is the highest. 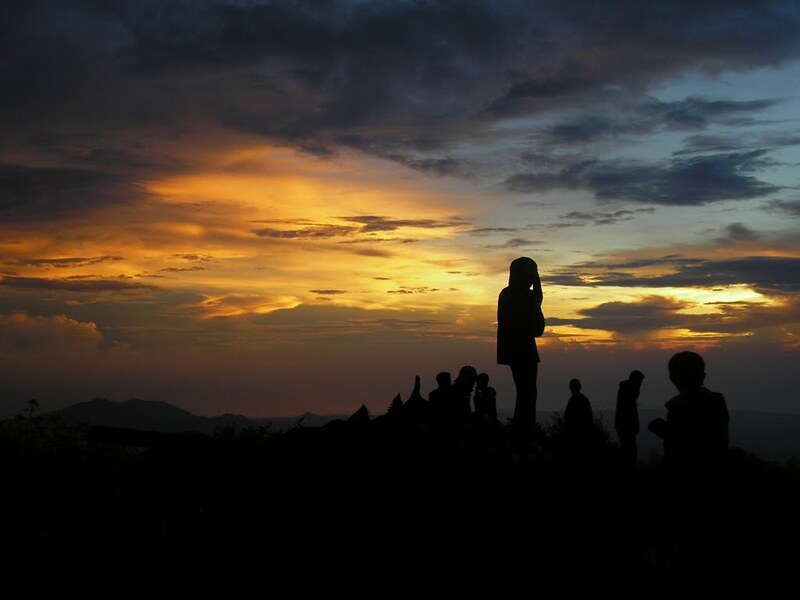 It is a very popular hike with local students at weekends, but considering the spectacular views of the Central Java mountains and northern coastline from the summit, and the shortness of the hike itself, relatively few hikers come from afar specifically in order to climb it. 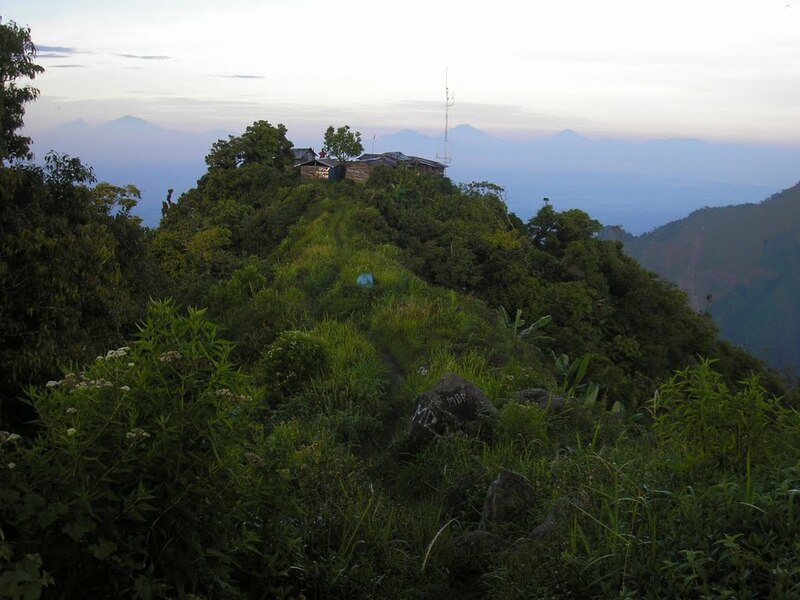 It can be climbed from Rahtawu (30km north of Kudus) or from the Jepara side via Candi Angin (‘Temple of the Wind’), but the former is by far the most common route used to reach the highest peak. The whole area north of Kudus (meaning ‘holy’) is a place of pilgrimage as this region was very important during the beginnings of Islam in Java. There are many grave sites on the slopes of the mountain, most notably near Colo village, at the foot of the Argowiloso peak. 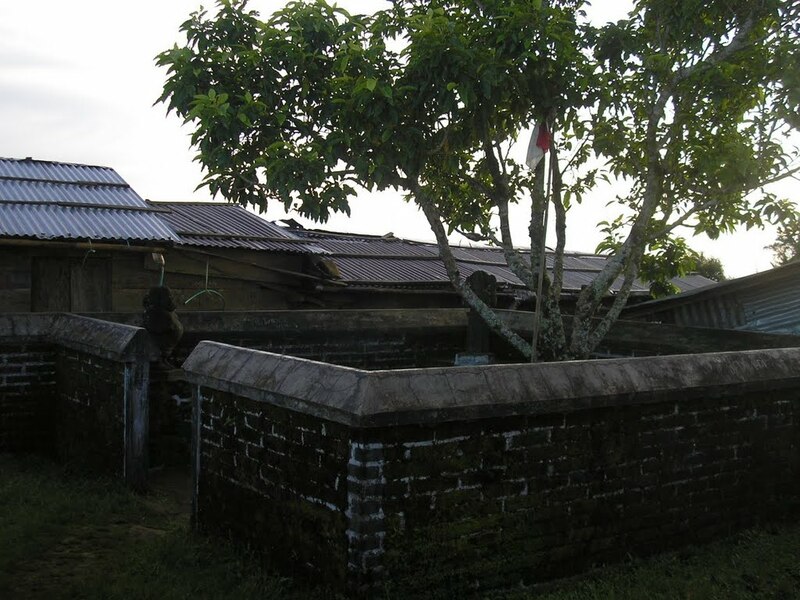 Many visitors come to the tomb of Sunan Muria, an early Islamic preacher in Java. Indeed, the mountain is dotted with cairns, prayer huts, small Hindu statues and warungs. The highest peak is often referred to as Peak 29, but there are different stories relating to why this is so and nobody seems to have the definitive answer. There are many minor peaks in the mountain range so it could well be that Songolikur is the highest of 29 peaks in the Muria range. However, some people suggest it may have a more ancient, mythical meaning related to Wayang Kulit. Be sure to ask locals for their explanation. 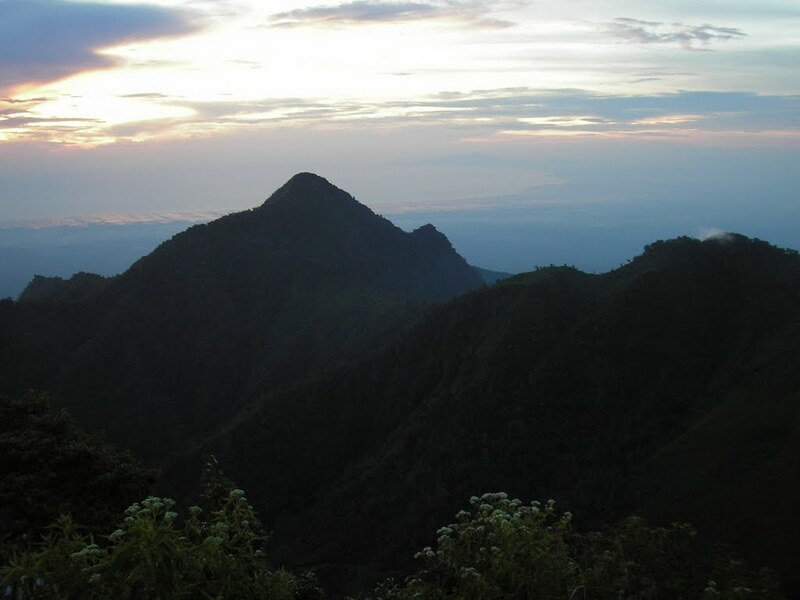 The most impressive other peaks seen from the top include Argowiloso (further east, in the direction of Gunung Lawu), Abiyoso (a very impressive peak further southwest) and Watopayon, the triangular peak east of Songolikur where the sun rises. 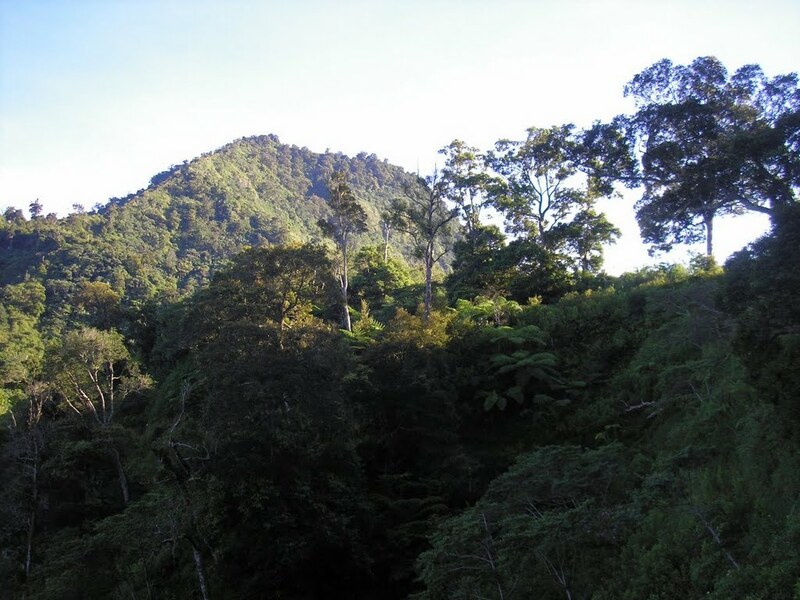 Abiyoso looks daunting but it is often climbed from near waterfalls further towards Kudus on the west side of the road up into the Muria mountain range – there is even a small sign. The starting point for the hike to the Songolikur peak is just beyond the village of Rahtawu and it takes a leisurely 3 hours to reach the summit. To get to Rahtawu it is best to take an ojek (motorcycle taxi) from the nearby town of Kudus, although angkots operate during the daytime. The journey is delightful – slowly rising into the hills by the side of the river valley – and at weekends it is a favourite spot of young couples eager to escape the watchful eyes of their parents! Beyond the main village of Rahtawu, the road continues to snake upwards into the mountain range and into Semliro hamlet. Take a left over a tiny white bridge to where the trail begins. The starting point is a trail beyond the cluster of houses and the owner of the house on the left will happily let you store your motorbike inside while you climb. Finding enough space to park a car or larger vehicle would require negotiations with friendly villagers. The trailhead is at an elevation of 813m so it’s only another 800 metres ascent to the very top. The first section of the trail is along fairly flat and well-defined farming tracks which follow the river into the mountain range and cross several streams. After less than an hour, you will reach a wooden building at a sharp corner in the trail. This is known as Pos Zigzag (1,005m). Views south are already very impressive indeed and the imposing rockface of the Abiyoso peak of the Muria range on your left is pretty spectacular. Soon afterwards, you reach Pos Bunton (1,157m) – a camping barn and a warung with freshly made gorengan (fried snacks), noodles and coffee/tea. It would appear to be open 24 hours a day for local student hikers and farmers. Beyond Pos Bunton there is a small signposted junction (1,242m). The right turn goes over the hillside to the village of Tempur beyond the peak of Muria itself. Do not take this turn, just keep on heading straight along the more obvious path to the Songolikur peak itself. Between approximately 1,264m and 1,350m there is an area of recent landslide (lonsor). This represents the only real difficulty in the whole hike. You need to be extra careful on certain short sections as a slip here would have very serious consequences. Another hut comes into view (1,350m) and is actually the first of many empty huts that look as though they are sometimes used to sell hikers snacks and drinks. There are some vegetable plots here and it feels very much like somebody’s well-kept garden. There are also one or two tiny shelters with what appear to be gravestones inside them. 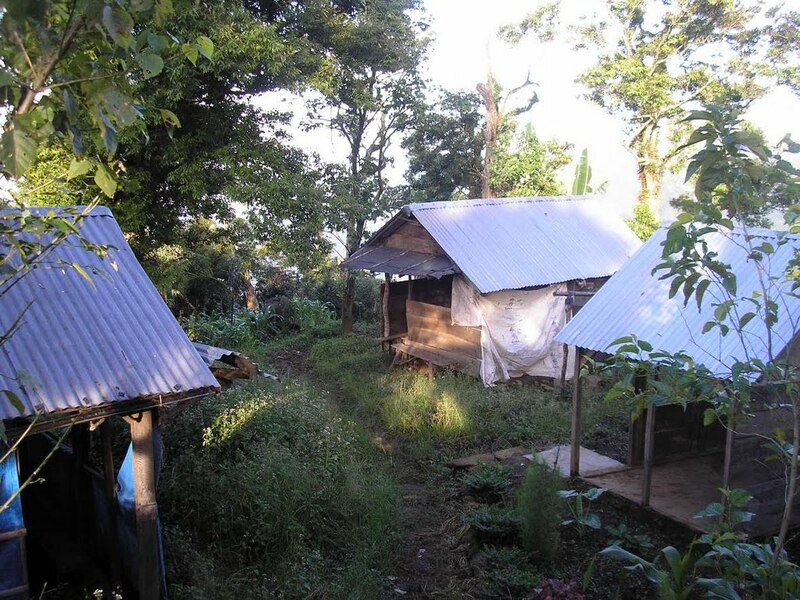 After the collection of huts, the trail starts to rise steeply up the side of Muria’s highest peak itself. From here you should be able to see Merbabu, Merapi and Lawu in the distance. There are two tiny prayer huts (1,426m and 1,554m) on the steep side of the Songolikur peak. 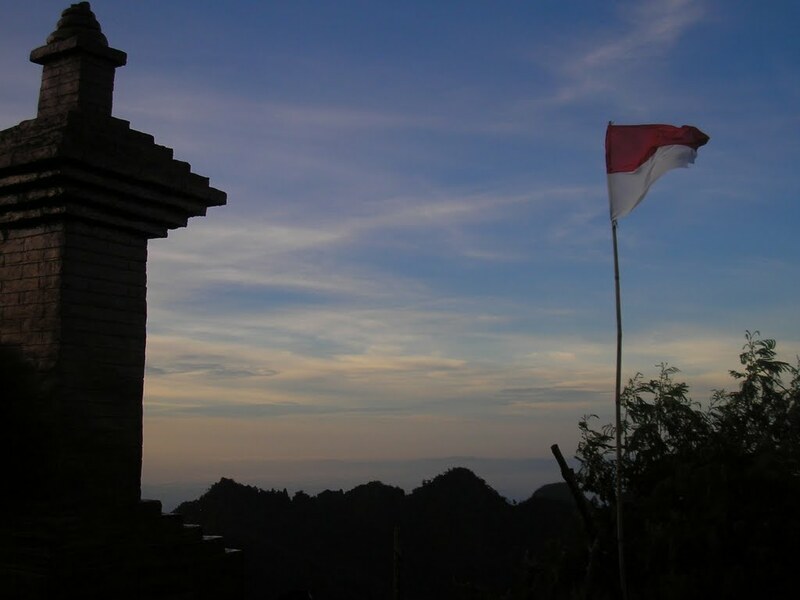 As you finally reach the top of the mountain range, you are confronted with two red welcome posts and an Indonesia flag. There are all manner of buildings up here – another tiny shop/warung (run by the elderly Pak Sijan, once again seemingly 24 hours a day! 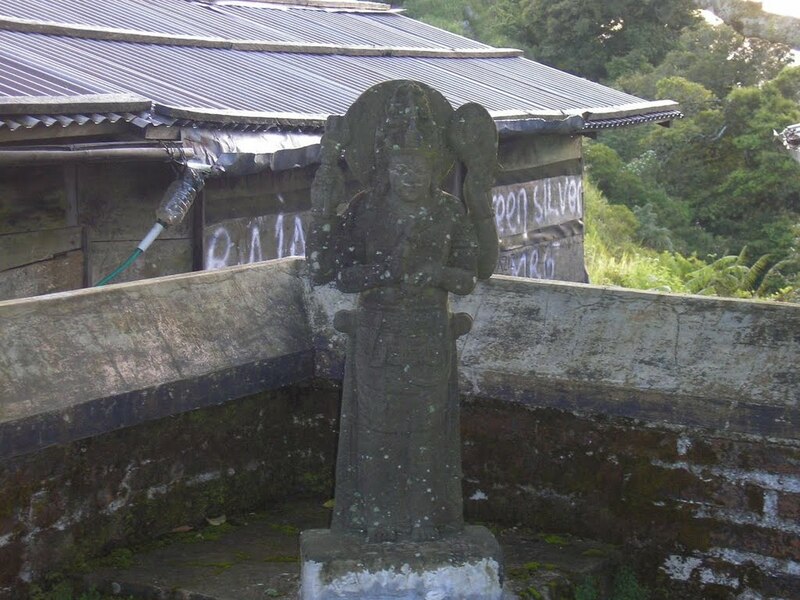 ), a telecommunications mast of some sort, camping barns and a walled enclosure with several Hindu statues inside. If you have a look at your GPS, you should see a reading of approximately 1,592m – 10 metres below the highest point of the range. Indeed, the true summit itself is a further five minutes’ walk along a short vegetated ridge which is crowned with a cement pillar halfway along it. The highest point, which is slightly further north, is a collection of boulders and a small Hindu shrine. The location offers great views over the coastline of the Muria peninsula and eastwards along the north coast of Java. 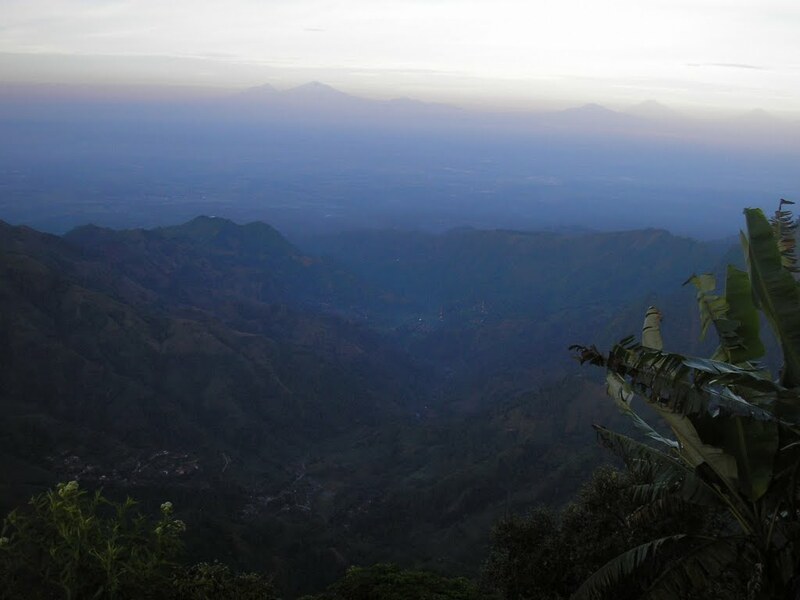 The view also now encompasses the twin giants of Sindoro and Sumbing to the southwest. 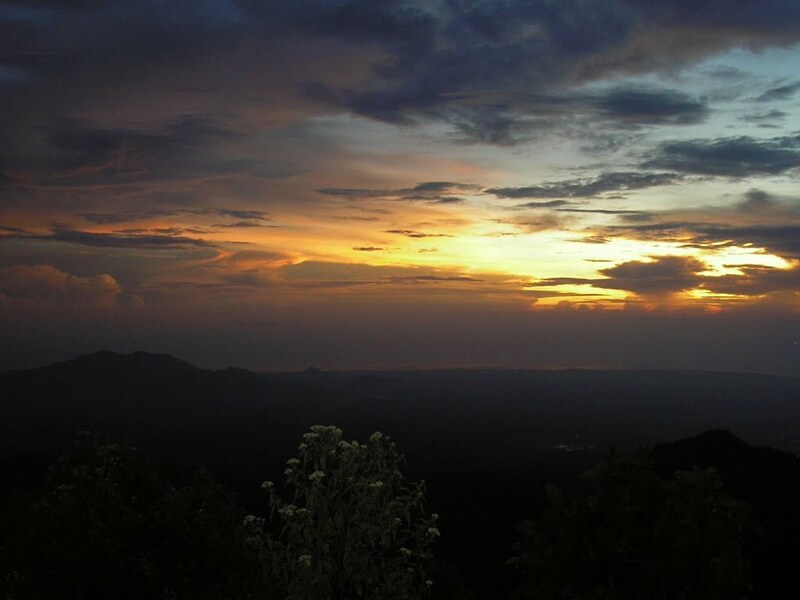 Muria may not be one of the highest peaks in Java, but in good weather it is definitely one of the finest viewpoints. 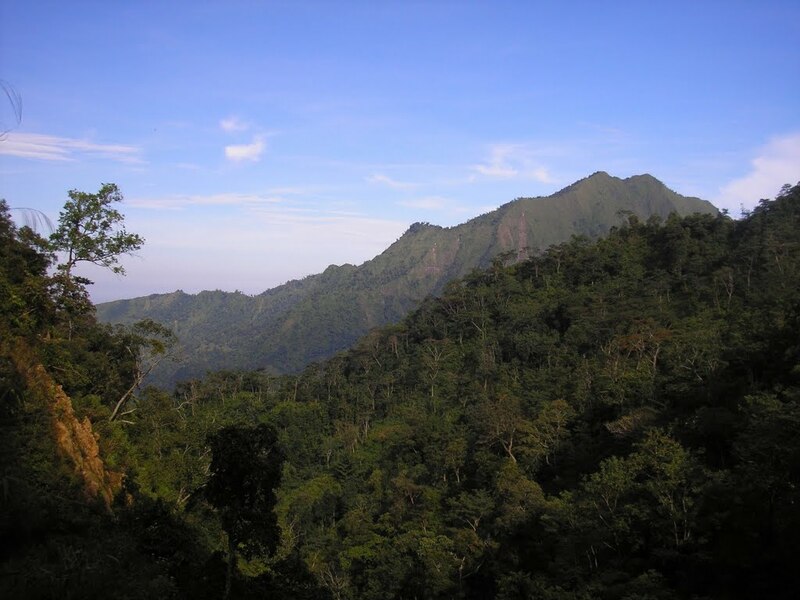 There are places to camp – indeed you can stay at Pos Bunton if you wish – but considering the short length of the hike, it can easily be enjoyed without the need for camping equipment. 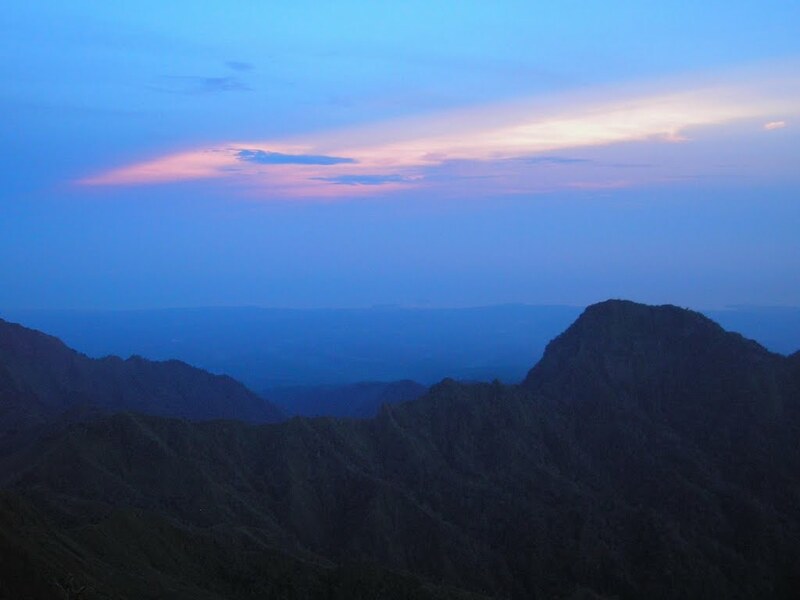 It is best to reach the summit in time for dawn to enjoy the sunrise. 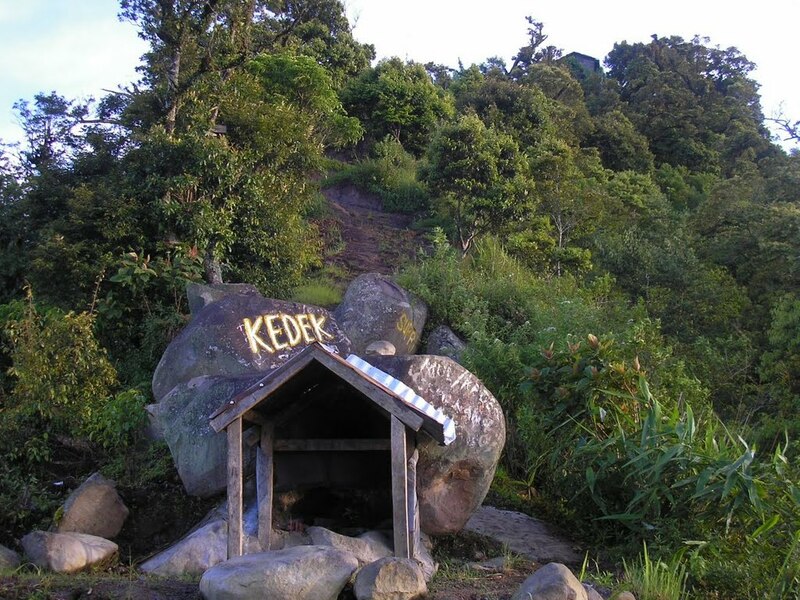 After you have leisurely returned the same way, there are several other natural attractions in the area such as several minor waterfalls right next to the road which leads back into Kudus. 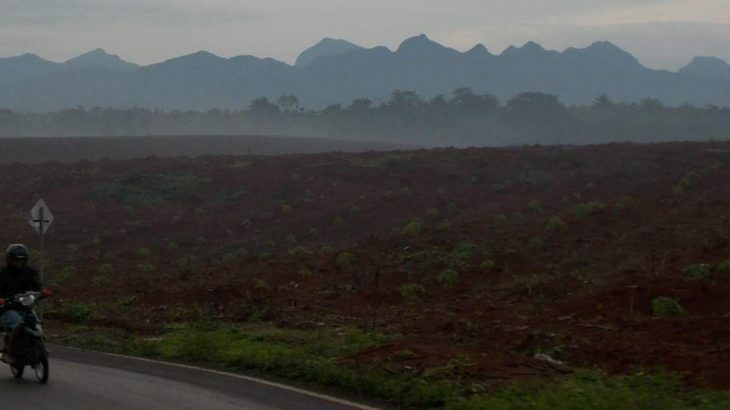 Several kilometres to the north of Gunung Muria is the northernmost mountain in Java. 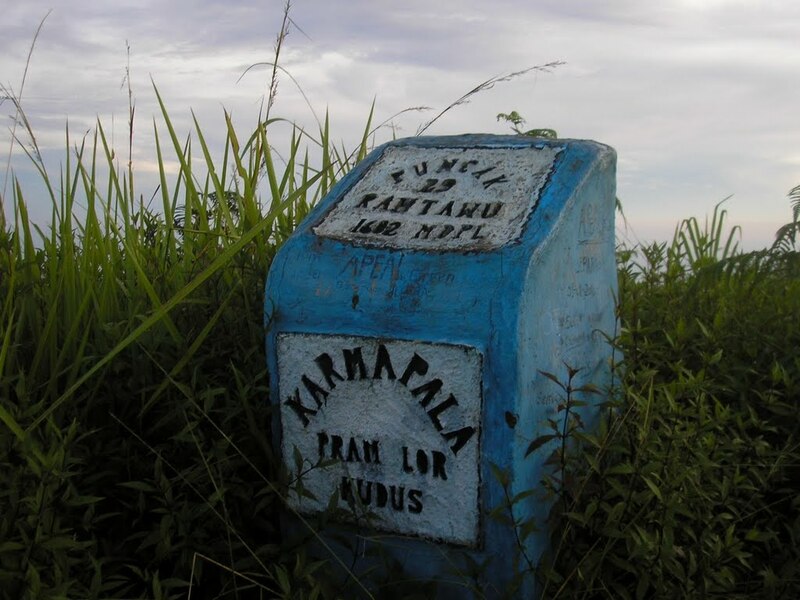 At just 670m it is really just a hill but it has considerable historical significance to those interested in the history of mapping in Indonesia. It was here in the 1870s where the very first trig point (topographic surveying pillar often found on hill summits) was established. This became the first non-zero reading (presumably they had a zero from sea level from somewhere near the Portuguese Fort a few kilometres away) and the basis from which all other elevations on Java and nearby islands were derived. In December 2018, the remnants of the pillar are still easily found on this rarely-hiked hill-top, along with a couple of other construction remains which may be from a later date. 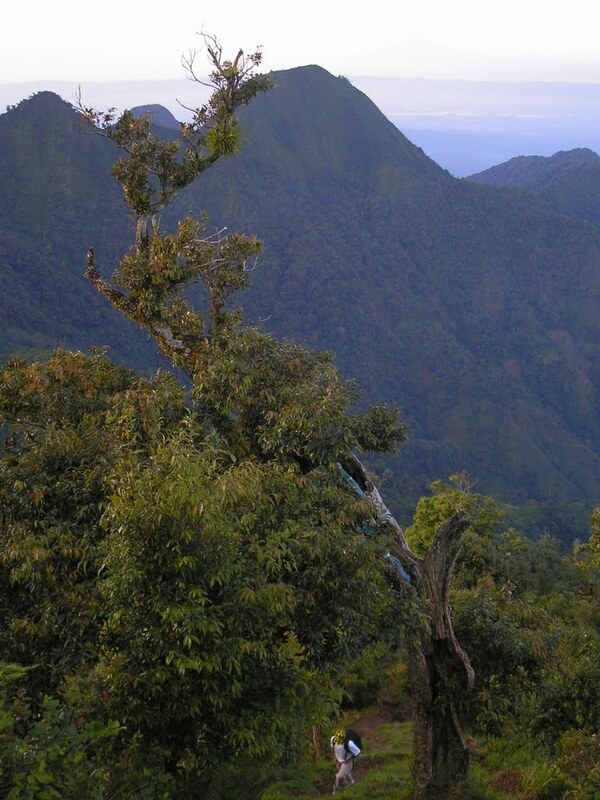 The village of Guwo is the starting point for the short one-hour hike to the top. 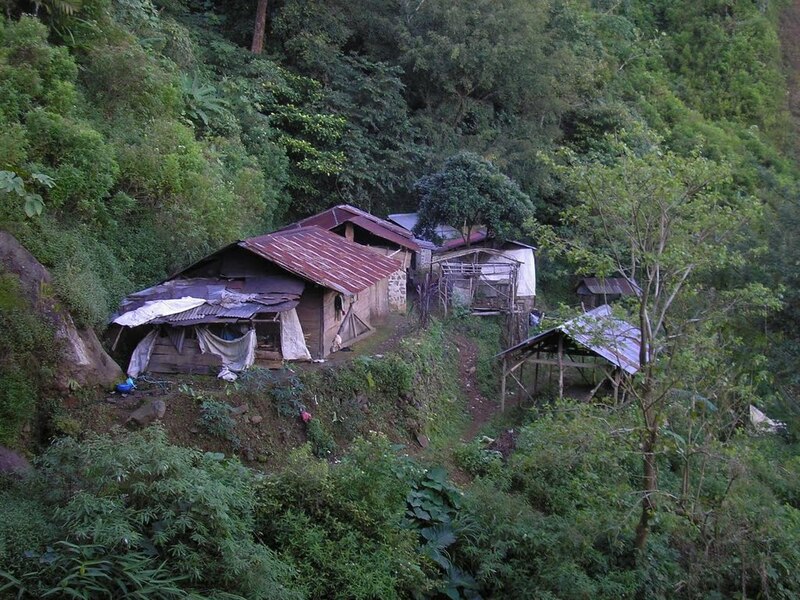 Dusun Guwo is nestled in the Genuk hills at an elevation of around 400m and there is a reasonable road all the way there. Allow around 90 minutes from Jepara and expect to have to ask locals for directions! 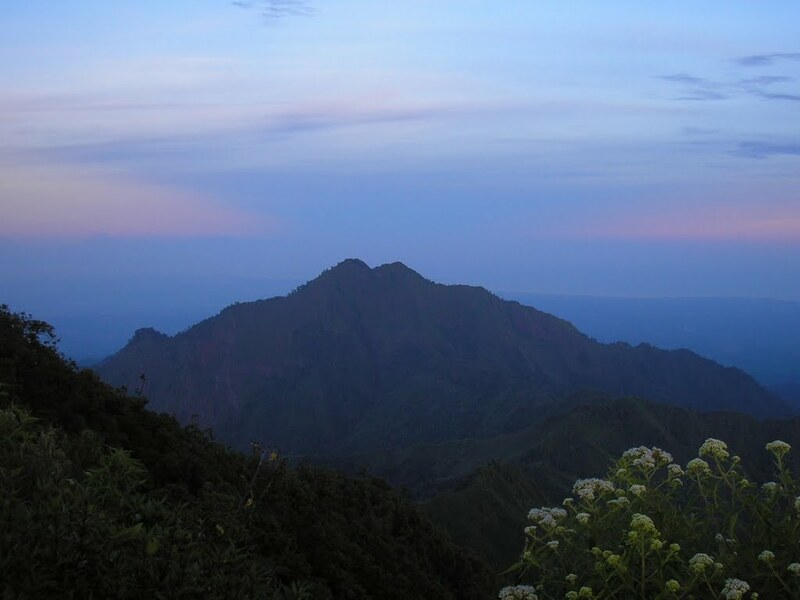 From Guwo you will see a telecommunications tower on the southern top of Genuk (roughly 500m elevation) but the true summit is further north. You will probably need to take a local villager as a guide or else ask for directions. There is a well-used muddy, slippery plantation path leading to well over 500m but soon you enter dense vegetation and if nobody has hiked here in recent months then it will be slow going indeed. On the higher slopes, be very careful on what is unstable and occasionally very steep ground with little to hold onto should you fall. Eventually you will reach an area with large rocks just before the summit and then will find yourself on the small summit with a pleasant panorama of Gunung Muria to the south, the 806m-high Gunung Celering / Gunung Argo Puro Lasem to the south-east, and the Portuguese Fort (‘benteng portugis’) and little Pulau Mandalika to the north. On the ground around you are the remains (both from the 1870s and some probably more modern) of simple constructions that were the basis for the entire Java triangulation system. After brushing yourself clean of the many tiny ants on this hill, and admiring the pleasant view, you can be back down in Dusun Guwo in 40 minutes or so. Out in the Java sea to the north-west of Jepara is an increasingly popular mini-archipelago called Kepulauan Karimunjawa. The only significant hill is Bukit Gajah (‘elephant hill’) but there are currently no reports of anyone having recently hiked to the top. A video on Youtube shows a local group hiking halfway up after getting permission from the forestry department in the main town. As of October 2018 there are daily Wings Air flights from Semarang (just 25 minutes) so it is quite possible that Bukit Gajah will become better-known soon. Getting there: There are plenty of buses to Kudus from Semarang. From Kudus, take an ojek or angkot towards the Muria mountain range and Rahtawu village (30km). The starting point at Desa Tempur is difficult to reach, lying nearly 3 hours away from Jepara. Accommodation: Plenty available in Kudus, Jepara and Semarang. Kalingga Star in Jepara is basic but well-priced and friendly. Water sources: Finding water on the usual hike from Rahtawu (south of the peak) is never a problem. There are many streams and even tiny village shops selling water on the trail itself. Featured, Jawa Tengah, Updated Kurang Tinggi. permalink. My first Gunung Bagging trip since 2011 was a great, easy rainy season weekend trip to Semarang and Gunung Muria. Things have changed since my last trip to Semarang with the impressive new airport. Since Grab/GOJEK are not allowed to pick up at the airport I took an airport taxi to Kota Lama (old city) for lunch at the historic Spiegel. Pedestrian friendly road improvements are underway in Kota Lama, which is good to see if a little chaotic right now. Took a Grab in the afternoon to Kudus (Rp 160k) and stayed at the King’s Hotel (Rp 350k). Kudus is not a tourist town but I had a juice at Kriptik coffee and a good dinner at Greens Bakery & Bistro. Having taken a Grab bike into town with a good driver I asked if he wanted to take me to Rahtawu the next morning at 5 am, wait while I climbed Muria, and then bring me back to Kudus. He jumped at the chance and we agreed only 50k each way! Of course I planned to also pay for him to wait (another 50k). The next morning he arrived on time and we took the one hour ride to Rahtawu. As Dan’s bagging info suggests, once you have gone through the gateway into Rahtawu the ride climbing and winding up the river valley is great. With sunrise at 5:30 this was perfect timing. Unfortunately mostly cloudy on Muria but that’s what you expect at this time of year. Dan’s bagging info is spot on and I started the hike just after 6 am from Semliro – the end of the road. It’s an easy trail, starting fairly level before climbing up the valley. Some good views back towards Rahtawu and it’s a trail that always provides views. There was one confusing point with a sign to P29 for two different trails – one of them “Jalur Trenggu”. I asked an old farmer and while not getting a clear answer he indicated Jalur Trengguu. I started along that trail but decided to turn around as it didn’t seem to follow Dan’s waypoints. I chose correctly, since the other “Sendang Bunton” (Bunton spring) trail was the one with the Pos. It wouldn’t matter because I met the old farmer again at the point when Jalur Trenggu meets the main trail further up! It’s a fairly steep climb up to P29, but I was at the summit in 2 hours. It was cloudy at the summit and looking like rain so I didn’t linger, following a few photos of the small shrine. I was back down in 1 hour. A very pleasant hike and good to see the trail is virtually entirely clear of trash/litter. Only at the “summit” where people camp and there are some buildings is there the sad sight of 1000s of plastic bottles. Beyond this is the short walk to the true summit. I was back to Semarang by lunchtime, and I enjoyed a good lunch at Spiegel. I then checked out Sewang Lawu (the old Dutch Railway Company Building) before having a beer at Sakapatat beer garden up on the hill to the south. Back on the bagging bandwagon. 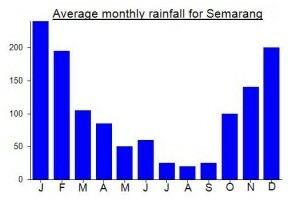 Thanks to Dan for this good rainy season easy weekend Ribu and Ultra bagging suggestion. Successfully found Java’s first trig pillar last weekend. grey skies for the most part as you might expect in December, but a great weekend. Took the train to Semarang on Friday night and stayed near Tawang station. Pleased to see the authorities are in the process of making the old town a pedestrianized zone. The next morning, took an Alloy shuttle from the Tourist Information Centre on Jl Pemuda to Jepara (2 and a half hours, 52k, booked via Traveloka). Stayed in Jepara at a new hotel at Pantai Bandengan – nice spot but much like Semarang’s old town it is still being renovated/constructed. Took just over an hour to reach the foot of Gunung Genuk the next morning, thanks to a Grab rider who was up for an adventure. Alas, one of the tracks Google suggested didn’t actually exist, so I ended up clambering up steep cassava plantations near the telecommunications top before dropping down to Dusun Guwo itself. I had a guide within 2 minutes (after offering a very decent sum for what is a very short hike) and we were at the top in exactly an hour. Delighted to find the remains of the old trig and admire the view to the coast and Mandalika island. Just about made it back to Jepara before the rain and in time for the shuttle back to Semarang and train back to Jakarta.Stunning views of Sumbing, SIndoro, the Dieng hills and Slamet in the late afternoon from the Argo Muria train. Always pleasant to be on that stretch of track between Semarang and Pekalongan that runs just a few metres from the Java Sea – a spot that filed me with excitement the first time I did it back in 2009 when you could still buy bir bintang and listen to dangdut karakoke in the kereta makan carriage! 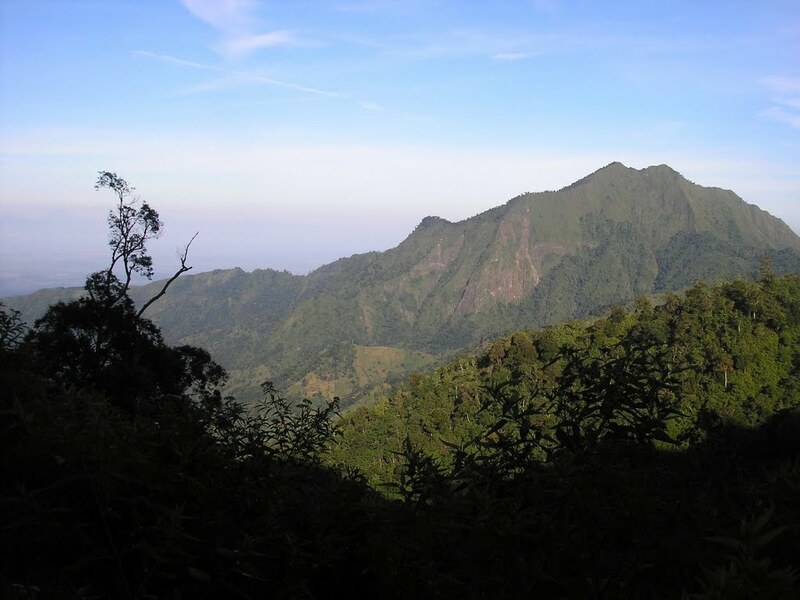 Those with an interest in mapping might be keen to know that the little 670m hill to the north of Gunung Muria, named Gunung Genuk (see also the Dutch spelling Genoek), is a very important location in terms of the history of the mapping of Indonesia. It was here in around 1873 (possibly earlier) that the first Trig pillar was constructed by The Topografische Dienst van Nederlands Indië (Netherlands Indies Topographic Survey – founded in 1864 – note that most employees were locals) and this was key to accurate mapping of all of Java and surrounding islands (Sulawesi, Sumatra and Borneo had individual systems that were begun later). Indeed, The Genuk peak starting point was the basis for the entire Java triangulation system and being Indonesia’s first proper hill-top trig pillar is quite a claim to fame. 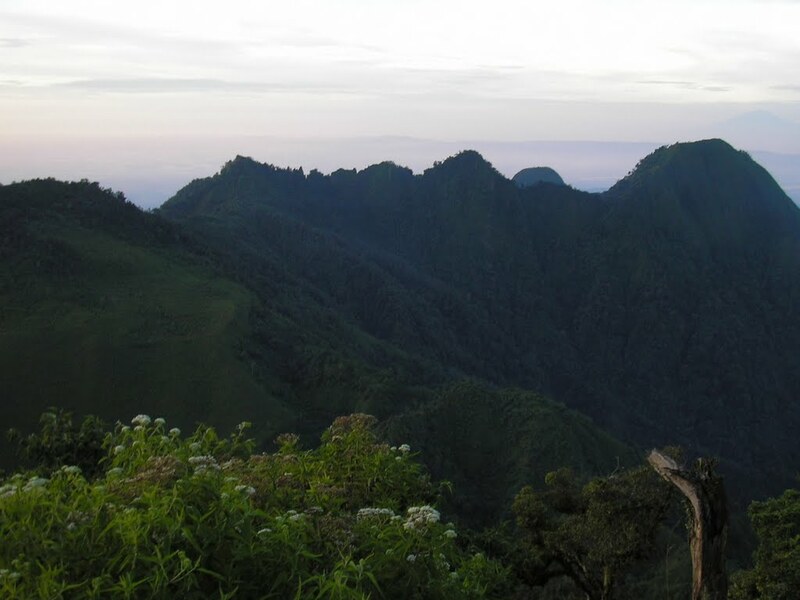 It seems they went via Jepara, Bangsri, Blingoh (4km directly south of the peak) and finally to Desa Guwo where the short hike to the peak begins. How long it takes will depend on how recently others have been up there (perhaps an hour up with a clear trail, or two without one), but I may well make a visit here later this year. Climbed Muria August 2016. Question: why do Gunung Bagging and other sources give the summit of Puncak 29 as 1,602 when, even as Dan acknowledges, the highest point is about 100 ms north at about 1,620? Observation: Did the traverse to Tempur and returned by buses to Jepara. 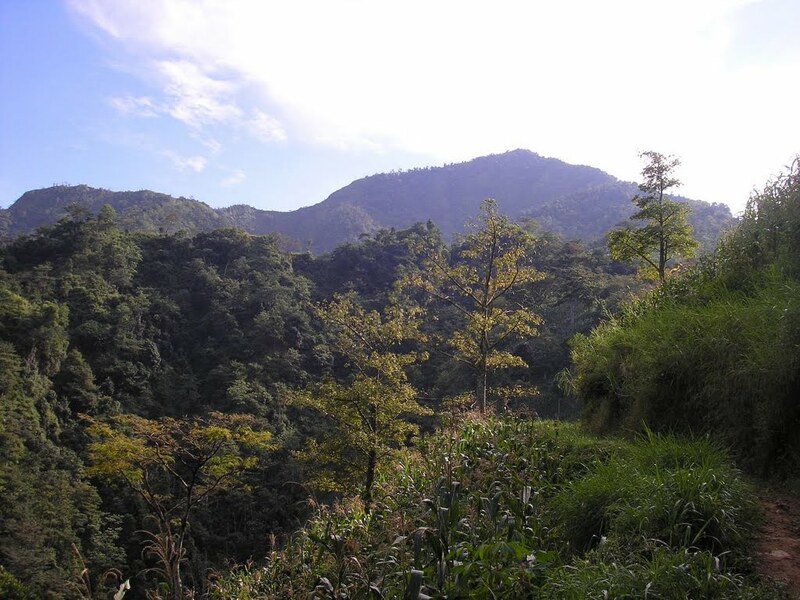 The track to Tempur branches off about half way between Sendang Buton and the end of the motorbike track to Puncak 29. Again, it is a motorbike track all the way to Tempur – easy walking; about 2 hours. Tempur is in an idyllic setting snuggling between the Puncak 29 and Candi Angin ranges; the local people are proud of being the keepers of the spiritual traditions associated with Gunung Muria (as are the Rahtawu people); and, the scenery/rice fields on the road down to the highway are as beautiful as anywhere in Bali. Recommended for novices. We climbed Muria on 17 July 2014 from the Kudus side. If driving from Kudus, take Jl. Sunan Kudus from the alun alun toward Jepara, then turn right at the first traffic light to head straight up to Rahtawu. We took 1 hour for the 24km up to Rahtawu, but a further 20 minutes for the 3km along the steep, narrow, winding and bumpy road to Semliro. There is a house with parking space for 3 cars right beside the trailhead in Semliro, but parking at Rahtawu and taking an ojek for the last section would be a less stressful option. The trail is easy to follow. 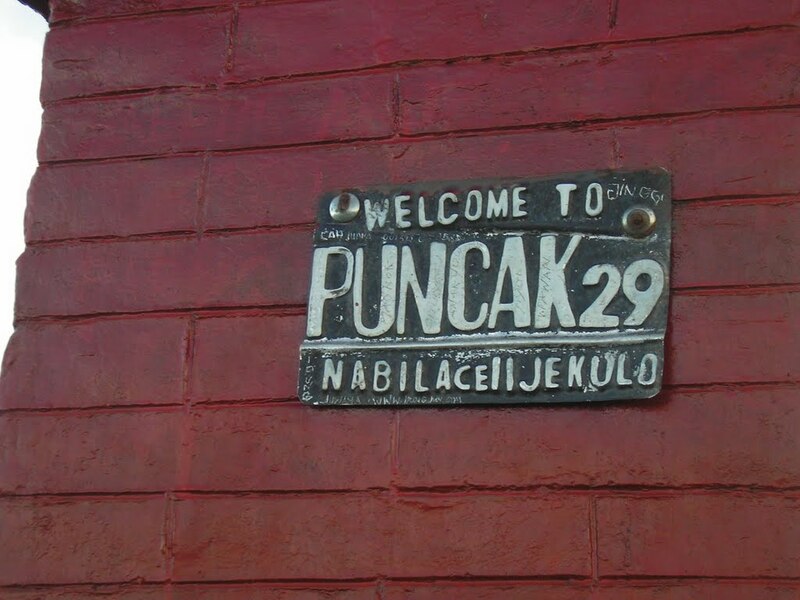 After about half an hour there is a junction where you must head up to the right; “Sendang Bunton, Puncak 29” is painted on a rock to guide you. We then passed all the warungs as described by Dan though they were deserted for the fasting month. Fortunately, there was a pilgrim in temporary residence at the summit dispensing hot tea and coffee. GPS altitude was 1624m at the summit, but 1602m at the cement triangulation pillar. We started hiking at 6.30 and made the summit by 9.30 with the view still clear. To the east, beyond Rembang, is the Celering Nature Reserve on the coast with the Kapur Utara hills inland. To the southeast the Gunung Liman massif was faintly visible, beside Gunung Lawu, the most imposing form from this viewpoint. To the south is Gunung Merbabu, with Merapi tucked behind it and Telomoyo in front of it. 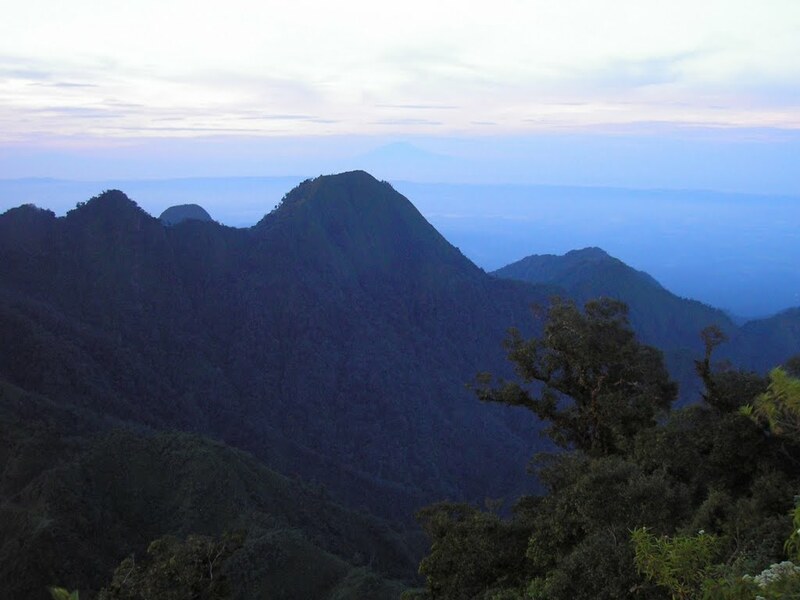 To the southwest, Gunung Ungaran appears to flank Guning Sumbing, while Sumbing’s twin, Sindoro, and the flat-topped Gunung Prahu lie further to the west. This would be an excellent hike for novices as the hike is short, the trail is in very good condition, including on the steep final section, there are numerous pleasant rest stops (you can even have a shower at Sendang Bunton!) and the summit is very rewarding. Climbed Muria for a second time at the weekend. Originally we had planned to climbed from the Jepara side at Desa Tempur but were told by our guide Rony (from Mapala Cartens in Jepara) that it would take 3 hours to drive there from Jepara so we decided we simply didn’t have enough time to try the other route. So to Rahtawu it was. Alas, the weather was poor and the summit warungs were closed. Also a few new minor landslide areas (all of which can be managed by confident walkers happy to get a bit muddy). 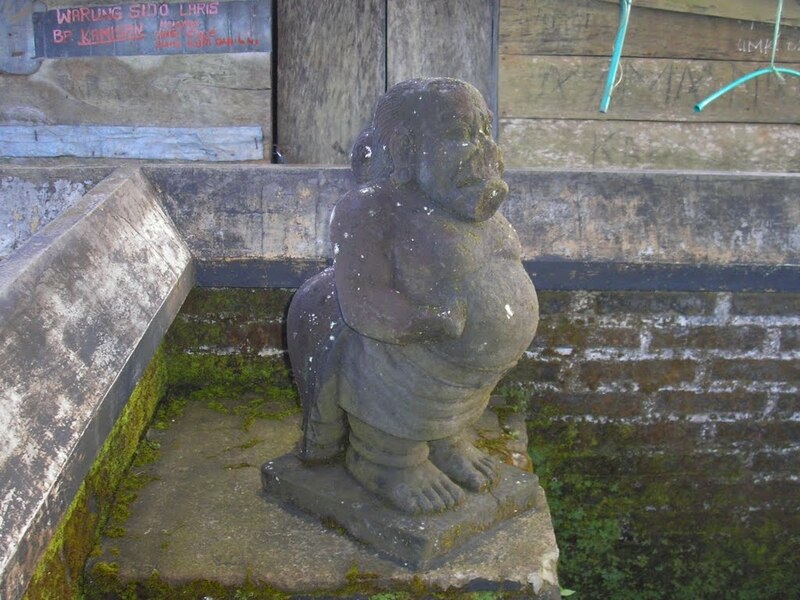 There seemed to be even more Hindu statues at the top than in 2010 – a nice reminder of Central Java’s past and a pleasant sign that the local Muslims are tolerant of those who have different beliefs. The clouds threatened to lift a couple of times but my friend Roman ultimately missed out on the glorious views of the Muria peninsula and coastline. We were up in 2 and a half hours or perhaps even less (after having waited for a long time at Pos Bunton for the rain to ease) and down in under 2 hours. A fantastic little hike that should be more popular with hikers from afar.